Chieko Asakawa uses the new app to navigate around the CMU campus. 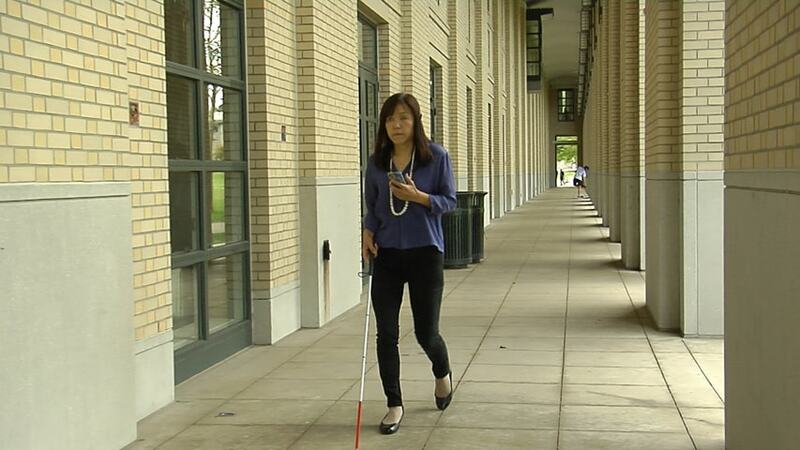 Scientists from IBM Research and Carnegie Mellon University today announced the first open platform designed to support the creation of smartphone apps that can enable the blind to better navigate their surroundings. The IBM and CMU researchers used the platform to create a pilot app, called NavCog, that draws on existing sensors and cognitive technologies to inform blind people on the CMU campus about their surroundings by “whispering” into their ears through earbuds or by creating vibrations on smartphones. The app analyzes signals from Bluetooth beacons located along walkways and from smartphone sensors to help enable users to move without human assistance, whether inside campus buildings or outdoors. Researchers are exploring additional capabilities for future versions of the app to detect who is approaching and what is their mood. NavCog is now available online and will soon be available at no cost on the App Store. 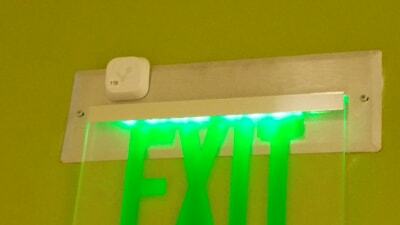 The app draws on indoor and outdoor sensors to inform blind people about their location. The first set of cognitive assistance tools for developers is now available via the cloud through IBM Bluemix. The open toolkit consists of an app for navigation, a map editing tool and localization algorithms that can help the blind identify in real time where they are, which direction they are facing and additional surrounding environmental information. The computer vision navigation application tool turns smartphone images of the surrounding environment into a 3-D space model to help improve localization and navigation for the visually impaired. The combination of these multiple technologies is known as “cognitive assistance,” an accessibility research field dedicated to helping the blind gain information by augmenting missing or weakened abilities. Researchers plan to add various localization technologies, including sensor fusion, which integrates data from multiple environmental sensors for highly sophisticated cognitive functioning, such as facial recognition in public places. Researchers also are exploring the use of computer vision to characterize the activities of people in the vicinity and ultrasound technology to help identify locations more accurately. IBM has been committed to technology innovation and accessibility for people with disabilities for more than 100 years, helping to ensure that employees, customers and citizens have equal access to information they need for work and life. Some early innovations for the blind include a Braille printer, a talking typewriter and the first commercially viable screen reader.